Health Passions is a 100% free online dating and social networking site for singles interested in meeting others dealing with similiar health issues. Regardless of whether you have beaten a specific disease, or you are in the midst of fighting a specific disease, or you are just looking for information, or to provide support, everyone is welcome. 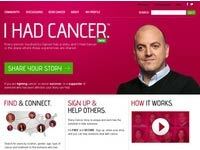 Free social networking site for anyone dealing with Cancer, including survivors, fighters and supporters. Connect with people dealing with the same issues you are. Provides a 'People Map' that lets you browse people near you, and see exactly why they have joined the site. If you, or anyone you know has Cancer, you should join this site! Alliance Health is a large network of individual social networking sites focused on Health issues. Each site is for people dealing with specific issues, like Diabeted, Cancer, Obesity, Leukemia & more. If you are dealing with any health issue, you may find support among one of the social networks in this network of sites.